On our way home from Omaha on Tuesday, I had a very very strong desire to share the gospel with a family. I will admit a lot of my desire to witness a miracle that day came from Elder Hansen sharing his amazing miracle with me earlier, and I hadn’t really felt like I had been an instrument in the hands of the Lord. So, on our way west I decided to ask the Sisters in the car to pray about where we should stop for dinner, to pray that we might be lead to a family who needs to hear the gospel, that the family would continue to accept the message of the Restoration. So, we prayed. 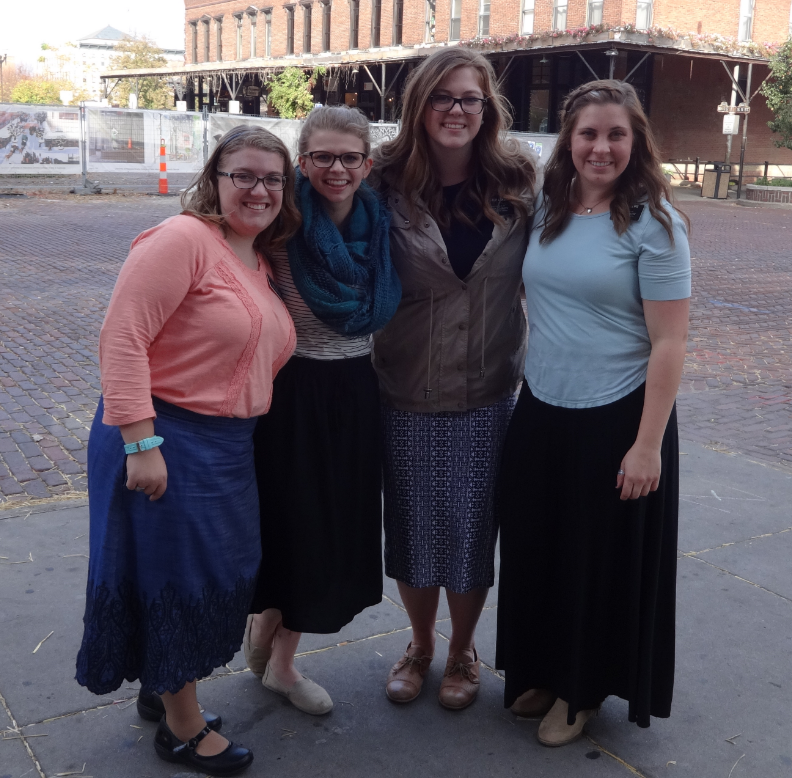 All five of us had very different impressions… I think a lot of that came from the fact that our stomachs were maybe a little louder then the spirit was at that time. We prayed again. still we all had very different places where we should stop. I said, “The next sign we see with one of the restaurants we’ve mentioned is where we are going.” We began singing the hymns, “I’ll go where you want me to go, Lord I would follow thee, and Come follow me.” The spirit was pretty thick I’ll admit. The next sign we saw was to Cracker Barrel. And Sister Meik had called it from the very beginning, as we prayed to ask the Lord that a family would be prepared at Cracker Barrel, I knew we were going to be accountable for finding this family. So, we got in, sat down. And I start looking at each table and family… Which I now realize is way weird and we should not do that. After listening to the spirit I decided to go out to the shop and see who might have been prepared there. Sister Meik and Sister Clifford came with me because they wanted to go look at the store. I witness that the Lord answers our prayers and will hold us accountable, if we had not gone to the store when we did we would have missed this amazing miracle! Sister Meik had said hello to this 20 something year old man and he said hi back, I decided this was a perfect opportunity to talk about our long day of traveling…. I don’t really remember how we transitioned into the Restoration from there but we did. I testified of how the gospel blesses families, he had mentioned how he grew up in the foster care system in Grand Island and always made sure his families knew he loved the Savior.